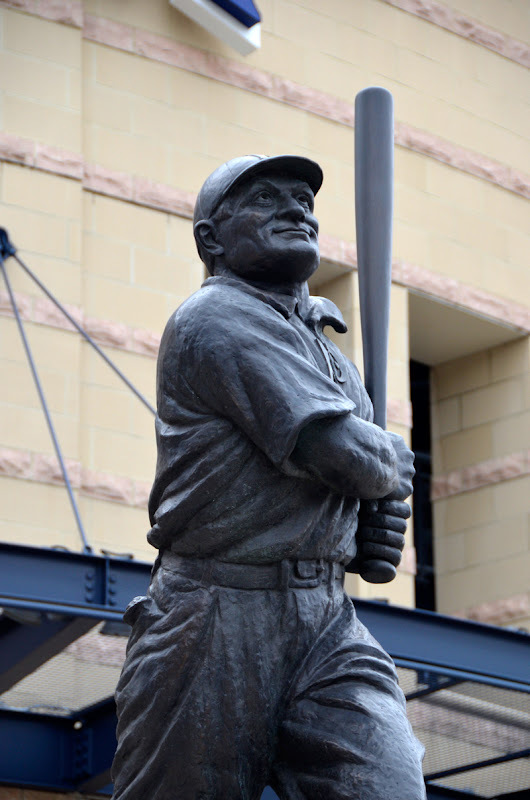 There are four sculptures around PNC Park that pay tribute to some of the Pittsburgh Pirates greatest players. Three of them were created by Susan Wagner between 1994 and 2010. 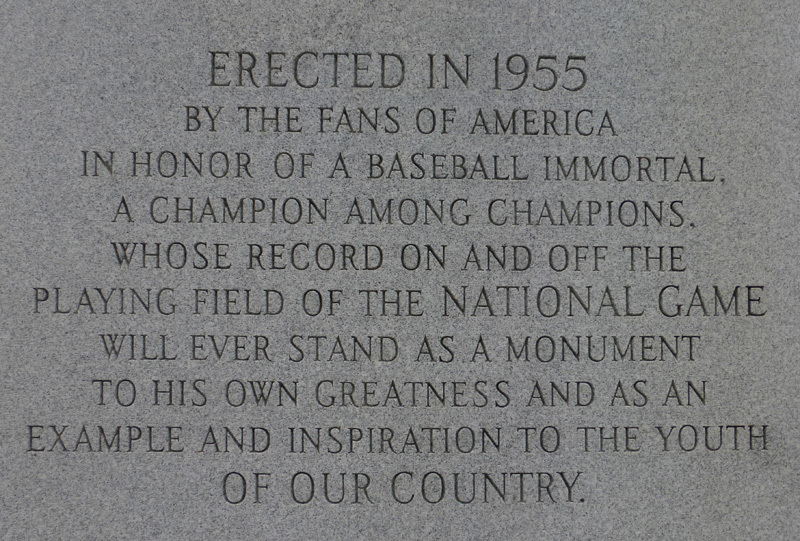 Those include Roberto Walker Clemente, Willie Stargel, and Bill Mazeroski. 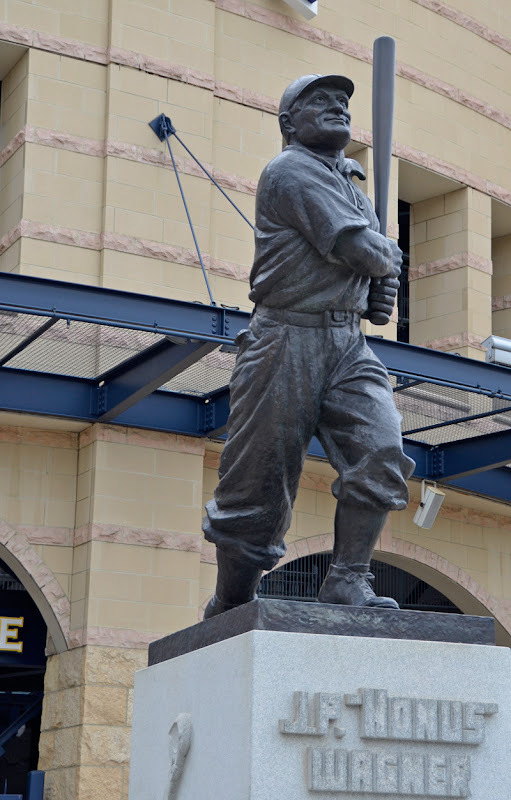 The fourth, Honus Wagner, was done back in 1955 by Frank Vittor. 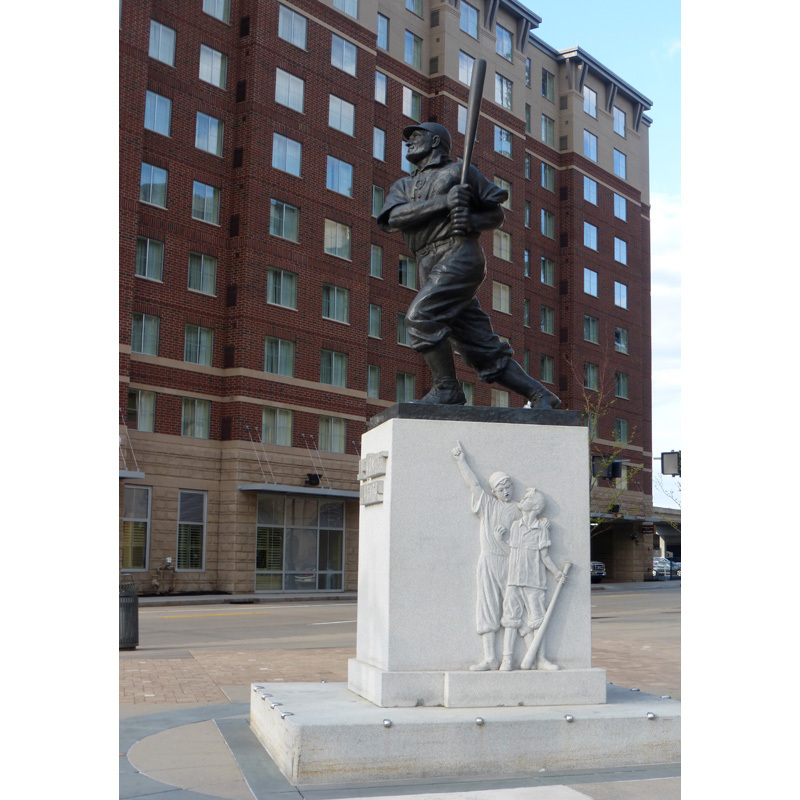 His brother Tony Vittor did the relief work on the base of the Honus Wagner sculpture. 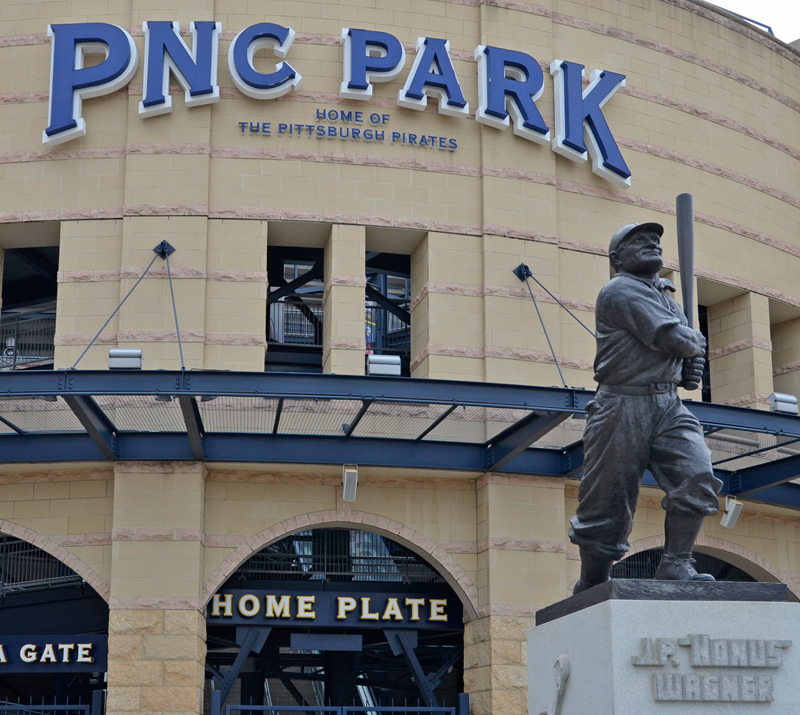 Pittsburgh native Johannes Peter Honus Wagner was one of the first five players to be inducted into the Baseball Hall of Fame. One of – if not THE – best short stops ever, he also won eight batting titles. Considered to be the best all–around player by many, he was talented in every aspect of the game. When he retired for the last time, he held the National League’s record for all time hits. As good a player as Honus Wagner was, he may be better known today because of his baseball card, the T206 . There’s a mural in his hometown neighborhood of Carnegie that replicates it. The Pirates retired number 33 in 1952. It’s one of only ten numbers retired by the Pittsburgh Pirates over the years. 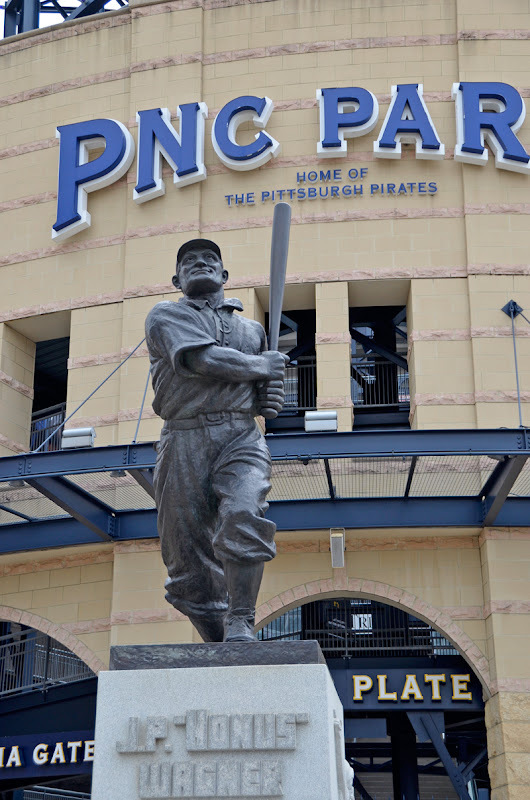 The others include Billy Meyer, Ralph Kiner, Willie Stargell, Bill Mazeroski, Paul Waner, Pie Traynor, Roberto Clemente, Danny Murtaugh, and one non–Pirate player – Jackie Robinson, who’s number was retired by all the teams. According to wikipedia the sculptor, Frank Vittor, was known for his preference for the heroic and colossal . Some of his other works include Christopher Columbus and Charles Lindberg. A native of Italy, he studied art in Paris and eventually made Pittsburgh his home. He founded the Pittsburgh Society of Sculptors and taught at the Carnegie Institute (now CMU). 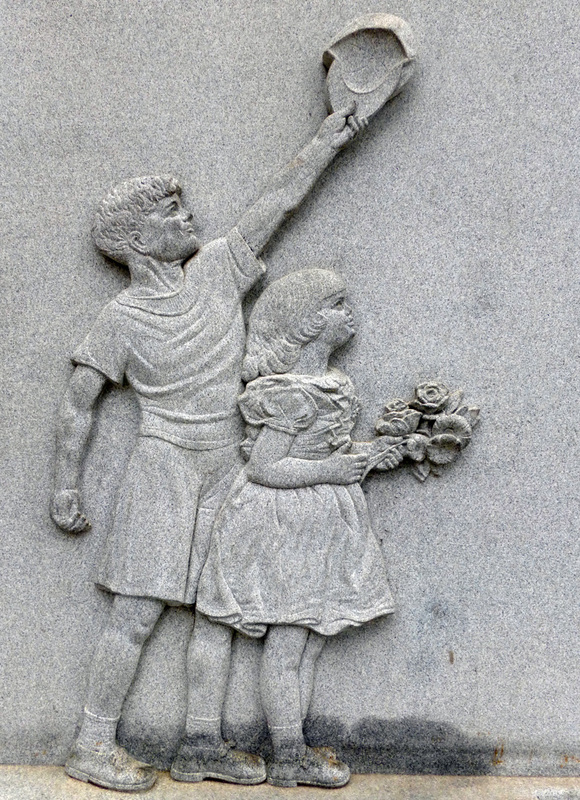 The reliefs on the base of the sculpture were done by Tony Vittor (Frank Vittor’s brother.) 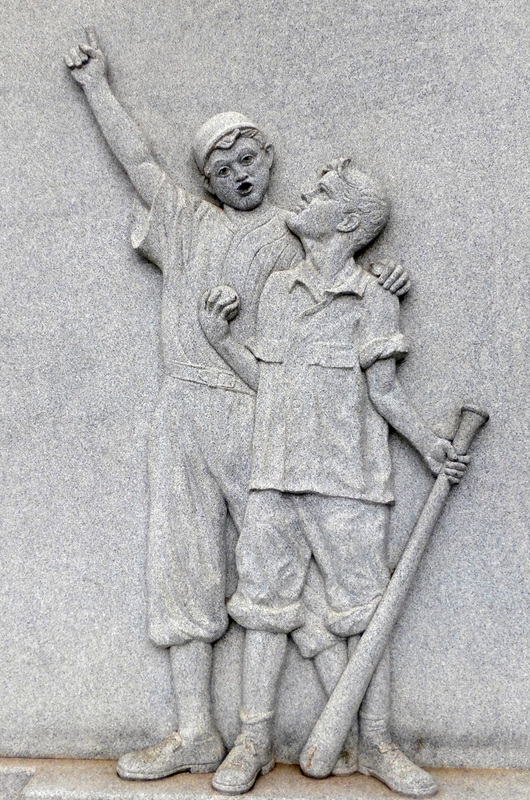 According to Pittsburgh Art in Public Places, they depict young people looking up at the baseball hero with admiration .